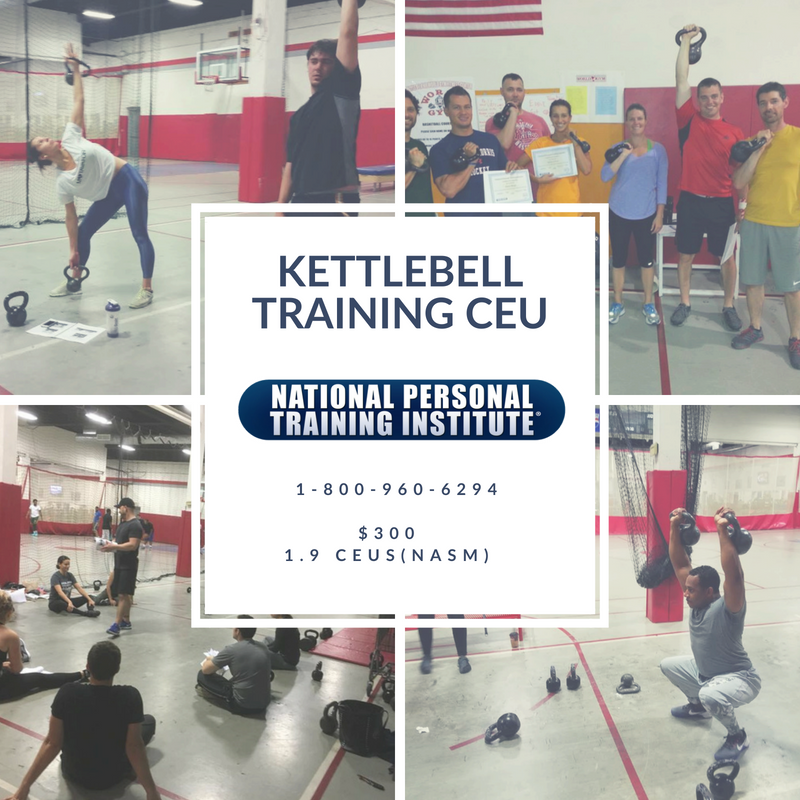 Gain CEUs and get certified in the National Personal Training Institute’s Kettlebell Training course and take your training and earning potential to the next level! Learn the art of a 1700 year old training methodology. National Personal Training Institute Kettle bell training is the fastest growing health and fitness modality in the world! Balance, coordination, power, endurance, stamina & injury prevention. Do not miss out on this exciting opportunity and income potential.